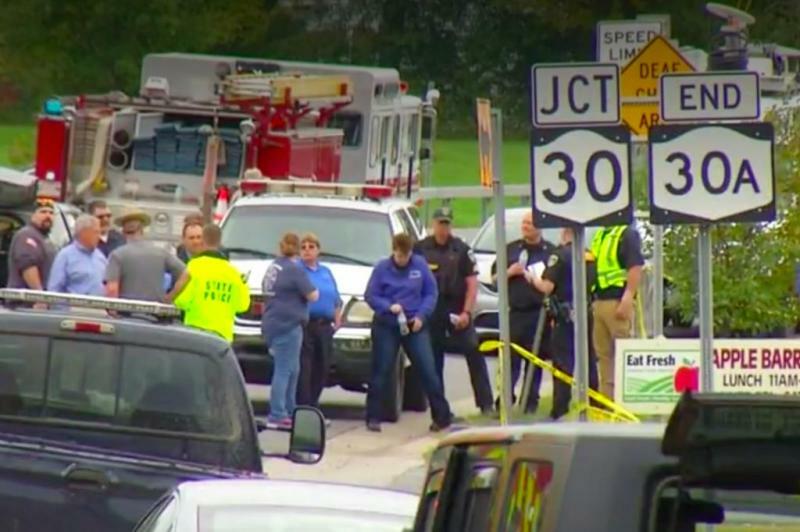 New York State Police confirmed late Sunday morning that 20 people died in a limousine crash in Schoharie County on Saturday -- the deadliest transportation accident in the United States in nine years. Police said that all 18 people inside the SUV-style stretch limousine stretch limousine died as it crashed into a parked vehicle at the intersection of routes 30 and 30A at about 1:55 p.m. Saturday. Two other people standing in a parking lot near the Apple Barrel, a popular tourist location 42 miles west of Albany, were also killed, Albany's Times Union reported. The limo failed to stop at the intersection and struck a parked and unoccupied 2015 Toyota Highlander, which then struck the two victims in the parking lot. Police didn't immediately release the names of those killed in the crash, pending notification of their families. All of the victims were adults, police confirmed. The National Transportation Safety Board said Sunday morning it would send a "go-team" to the site of the crash to investigate the incident. Parts of Routes 30 and 30-A were closed for hours on Saturday and early Sunday but re-opened at 4 a.m. Sunday after the scene was cleared, New York State Police said. The Apple Barrel announced on Facebook it would be open for business on Sunday and would collect donations for first responders. "We hope you will come and share your smiles, love, friendship and hugs with us. We also hope you will share your change. We will be collecting donations for our local volunteer emergency services. They are the heroes of our small community," the post stated. "Our hearts and prayers go out to everyone that was affected by the events of today. You will always be part of our family." Gov. Andrew Cuomo issued a statement commending the first responders and offering condolences to the families of the victims. "State police are working with federal and local authorities to investigate the crash, and I have directed State agencies to provide every resource necessary to aid in this investigation and determine what led to this tragedy," he said. "I join all New Yorkers in mourning these deaths and share in the unspeakable sorrow experienced by their families and loved ones during this extremely difficult time."